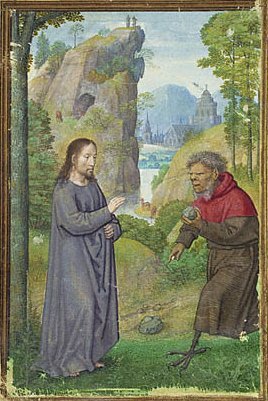 Immediately after Jesus’ baptism, the claim from the heavens that Jesus is God’s son, Jesus is led to the wilderness to be tempted. While we may see these as different events, they are all tied together in one long narrative by the gospel writer to show Jesus’ identity as the Son of God. The wilderness has a significant role in the story of scripture. One day Moses was caring for the flock of his father-in-law Jethro, and he led them through the wilderness, to the far side. It is there that he sees, out of the corner of his eye, a bush that was on fire but did not appear to be consumed, and Moses thought to himself, I need to step aside, take a detour from where I am headed, and see this amazing sight. And it is here that God spoke to Moses and changed the history of the people of God. As the people of God made their way to safety from oppression and slavery, they ended up spending 40 years in the wilderness as they learned what it meant to be the people of God. The desert was a time of challenge and temptation, but also grace and revelation. It was through this time that the people of God learned what it meant to be the people of God, not only for them, but also for future generations as they passed on these stories. After the showdown with the priests of Ba’al at the two altars, Elijah gets word that he is going to die, and he goes into the wilderness and sits down beneath a solitary tree and asks to die. For forty days and nights he passes through the wilderness until he reaches mount Horeb, or Sinai, and there he meets God and he is given a new mission from God. And it is in the wilderness that Jesus is led immediately following this statement by God. Until now, Jesus doesn’t really do much, he doesn’t gather disciples, he doesn’t teach, he doesn’t do miracles. These forty days in the wilderness is Jesus’ preparation as he, perhaps, learns as well. After all, Jesus was fully God, but also fully human. Just as Jesus’ baptism is an extension of the epiphany to the Magi, his time in the wilderness is an extension of his baptism, the preparation for his ministry. Jesus fasted for forty days, was tempted by the tempter and resisted and the angels came and waited on him. Just when we think things will let up a bit he leaves the desert and goes home to Nazareth to learn that John the Baptizer has been arrested. He leaves home and settles northeast by the Sea of Galilee in a village called Capernaum. The temptation story also shows us what kind of redeemer, what type of king, what type of leader he will be. Even at his weakest moment, he will not embrace power, but will turn it down. He will let nothing stand between him and his mission. It is a mission which began in turmoil and will end in death, and ultimately a resurrection. Jesus does not exist for his own benefit, but for the benefit of others. He will not turn stones into bread for him to eat, but later in the story he will multiply bread for the people to eat. He will not take power over everything for himself, but he will offer the Kingdom of Heaven to those who follow him in righteousness. The Gospel writer notes early on that he will be called Emmanuel, that is, God with us (Mt 1:23), and this shows how Jesus is with us, not only in terms of space, but also in terms of identification. Jesus not only lived among us, but could identify with us. Neither Jesus’ heritage, nor his identity, nor his calling would keep him from the experience of humanity, from the experience of life, the good and the bad, the highs and the lows, the joys and the pains. For we do not have a high priest who is unable to sympathize with our weaknesses, but we have one who in every respect has been tested as we are, but without sin. (Heb. 4:15). This is a transformative experience for Jesus, and one which will stay with him throughout his ministry. Indeed, throughout his ministry, Jesus will face temptations of various sorts, including the temptation to cut and run when his arrest and death was imminent. But this time of preparation in the desert, this will help him to understand his mission and to what he is called. As God’s people we too are led into wilderness experiences. Not necessarily a physical wilderness, but a spiritual wilderness. We may not be abstaining from food, our wilderness experiences often make us feel a hunger, a deep hunger, as though we are not being nourished as we ought. It is a time of loneliness, isolation, fear, longing, hunger. The wilderness experience of the ancient people of God was not a result of rejection by God, but rather, because they were God’s people. Jesus’ wilderness experience is not a result of rejection by God, but rather an extension of being claimed by God. So often we may think that our wilderness experiences may be a result of rejection by or a turning away by God but perhaps this may not always be the case. Perhaps it is a part of being God’s people, perhaps it is a time to help us learn what it means to be God’s people, and perhaps these wilderness experiences help us understand what it means to be claimed by God. But the best part about this is that we do not enter into these wilderness experiences alone, Jesus joins us in these wilderness experiences. Jesus joins us in the solitude, in the loneliness, in the hunger, in the thirst. Jesus joins us in the struggle and striving with God. Before Jesus leaves the people after his resurrection he promises to them, “And remember, I am with you always, to the end of the age” (Mt 28:20). and this is a promise that holds true today, a promise that holds true for you and for me. That even in these barren and lonely and hard times, we do not trod them alone, but we trod them with Jesus, who went through these experiences himself while on earth. Therefore, sisters and brothers, the wilderness is a part of life with God, a part of struggling and striving with God. In the wilderness lies growth, learning, an epiphany even, if we live into the wilderness experiences into which we may be led. But we do not enter into the wilderness alone. Many times we have other members of the body of Christ who can journey with us if we allow it. But even more, we have Jesus who has walked in our shoes, who has lived a life like ours, who has experienced every piece of human life and can sympathize with us. This entry was posted in Sermons and tagged Despair, Dryness, Hope, Mortality, Patience on January 19, 2015 by Matthew van Maastricht.